This month’s Meet the Family features Jeremy Jahng along with his mother Eun-sun Yoo. Jeremy (Age 12) is an incredibly skilled viola player. 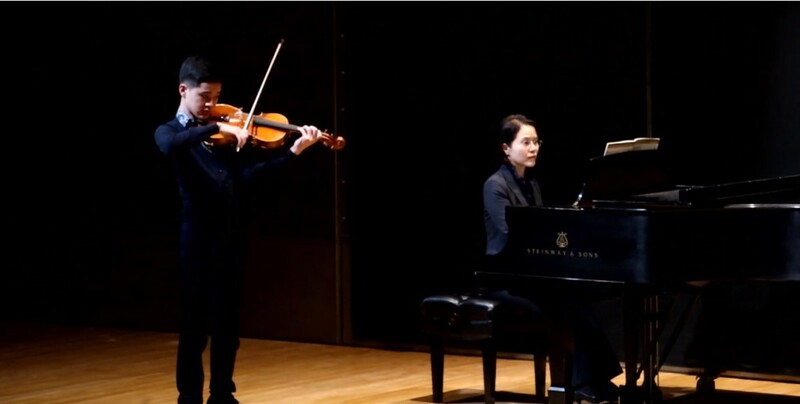 Even though it has not been two years since he started to play the viola, he placed first place in both the ‘New York International Competition’ and ‘Manhattan International Competition’ of January 2019. Furthermore, on Wednesday, January 30th, he will be performing at Carnegie Hall. Behind this remarkable growth of Jeremy’s talents are the unremitting efforts of his mother, Mrs. Eun-sun Yoo. We hope you can give them both much support!